Ordinarily foreign exchange is the same as foreign money or currency notes of foreign countries like American Dollar or British Pound Sterling. This is true only in a narrow sense. In practice, foreign exchange is not conceived the same as generally understood. Bank notes or what we commonly call foreign currency notes, do not play any significant role in settlement of international transactions. In a broader sense, foreign exchange can be defined as a process of conversion of one currency into other. 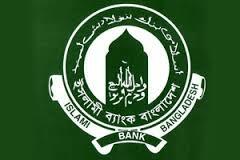 Which forms the basis for the administration of the present exchange control in Bangladesh, anything that conveys a right to wealth in another country is foreign exchange. These include foreign currencies (bank notes), deposits, credits and balances payable in foreign currency, drafts, traveler’s checks, letters of credit and bills of exchange payable in foreign currency. In short, foreign exchange is the means and methods by which rights to wealth in one country’s currency are converted into those of another country. Earns profit based on the purchase price at the agreed upon rate of profit. Foreign Exchange Department is dividend in to 3 sections. IBBL offer different trade products and services complying Shari’ah and law of the land. b. Sending documents to L/C opening banks or correspondent for collection of proceeds .After collection adjustment of negotiation value.